Montana Style Home with real log accents, knotty pine wood doors and trim, wood flloors, stone fireplace with log mantle, barn style office/bedroom door! This stunning well maintained shows like new! This home features, a spacious master suite with private bath and walk in closet. Two twin bedrooms adjoined by a Jack n Jill style full bath. Large bonus room perfect for a theater room, kids play room or game room! The kitchen has many upgrades including stainless steel appliances, 2 ovens, gas range, microwave, dishwasher and breakfast bar.Spacious dining area with views of the Mission Mountains. Cozy family room with gas stone fireplace, Off of the family room is an office but could be used as a 4th bedroom. Finished 2 Car attached garage with epoxy floor and 2 windows as well as door to backyard with a doggie door. Enjoy evenings around the firepit or soaking in the built in hot tub! Huge backyard with with cedar plank privacy fence! Close to Flathead Lake River Access! Neighborhood park and close to town! 3 Minutes from Columbia Falls High! 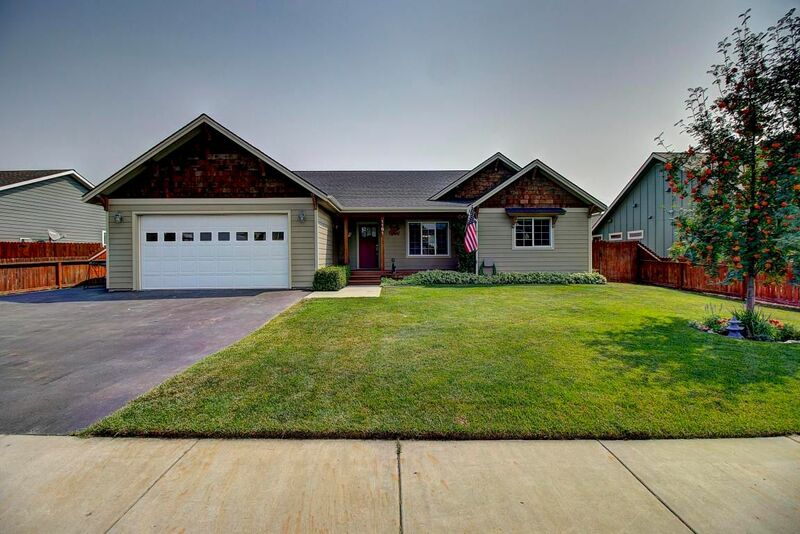 Montana Style Home with real log accents, knotty pine wood doors and trim, wood flloors, stone fireplace with log mantle, barn style office/bedroom door! This stunning well maintained shows like new! This home features, a spacious master suite with private bath and walk in closet. Two twin bedrooms adjoined by a Jack n Jill style full bath. Large bonus room perfect for a theater room, kids play room or game room! The kitchen has many upgrades including stainless steel appliances, 2 ovens, gas range, microwave, dishwasher and breakfast bar.Spacious dining area with views of the Mission Mountains. Cozy family room with gas stone fireplace, Off of the family room is an office but could be used as a 4th bedroom. Finished 2 Car attached garage with expoxy floor and 2 windows as well as door to backyard with a doggie door. Enjoy evenings around the firepit or soaking in the built in hot tub! Huge backyard with with cedar plank privacy fence! Close to Flathead Lake River Access! Neighborhood park and close to town! 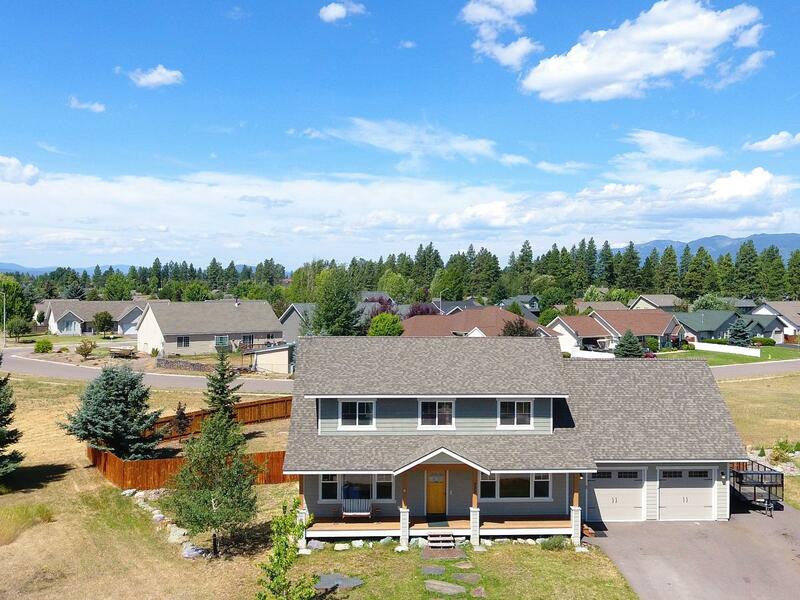 3 Minutes from Columbia Falls High!